Located in northeastern Vermont, 3,267 foot Burke Mountain towers over the surrounding landscape. 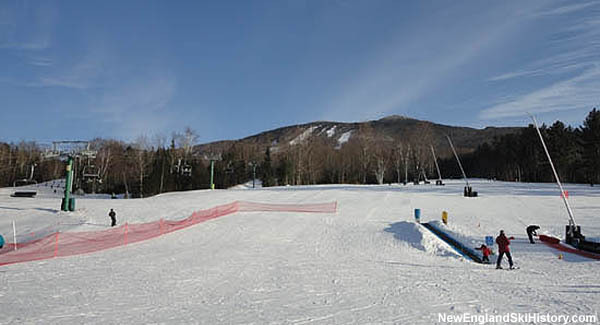 The historic ski area is now served top to bottom by high speed detachable chairlifts. The veteran snowmaker died when a snowcat rolled over.